Well, that's a statement of intent if I ever saw one, in what will be one of the biggest tech acquisitions in history and which caused LinkedIn's stock price to rocket. I can see, at least from a connectivity point of view, why Microsoft might be interested in LinkedIn - it plays nicely into its strategy (i.e. more software, less hardware) to build out more services for enterprises (and with 433m plus members, the potential exposure for it is pretty good and underpins a similar approach to that of Facebook when it bought Whatsapp in 2014) and to assist it with fighting off it competitors by enabling Microsoft to try and flog its products through LinkedIn related channels. Similarly, from LinkedIn's point of view the acquisition seems like a good thing (reportedly Microsoft are going to run it as a standalone business...) particularly given recent stock fluctuations owing to stagnating growth in some of its core areas and investors - and the public more widely - wondering, really, what LinkedIn's next level was actually going to be (although, I suppose, statistically LinkedIn has performed pretty well in the market when compared to other tech companies). So, notwithstanding the above, why am I not (overly) excited about this at the time of writing (save for the fact that I don't own any stock....in which instance I may have been very excited about it, indeed)? Perhaps it's because Microsoft wrote off the entire value of the purchase of Nokia's device unit within a year or of its purchase and there is a tiny bit of doubt in me that something similar (but perhaps not on the same scale) might happen here, perhaps its because Skype, whilst revolutionary for some, hasn't increased my use of video conferencing (whether personally or professionally) or perhaps its simply because I am now preparing myself for an increased level of rage-inducing, cross-platform spam-ish emails that I think has the potential to come out of this love affair. Whatever the reason for my neutral feelings at the moment, i'm going to keep my eye on developments....that assumes, of course, the SEC allows the purchase to proceed. 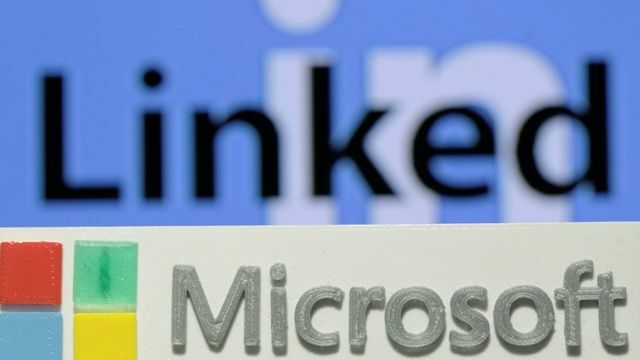 Microsoft is buying the professional networking website LinkedIn for just over $26bn (£18bn) in cash.The software giant will pay $196 a share - a premium of almost 50% to Friday's closing share price.The deal will help Microsoft boost sales of its business and email software. Microsoft said that LinkedIn would retain its "distinct brand, culture and independence". Ben Wood, head of research at CCS Insight, said the deal would give Microsoft access to the world's biggest professional social network with more than 430 million members worldwide. Microsoft to buy LinkedIn for just over $26bn. Seems@a bit excessive, no?